The final concert of Weekend of Chamber Music’s (WCM) 2015 Festival on July 25, 2015 run a gamut, one could say, but not in the expected order. It began with Faure’s “Piano Trio in d minor, Op 120”, a very late masterwork that can be considered the culmination of a lifetime of composing great chamber music pieces, each one stylistically moving forward in time aligning with the current forms of musical expression. It is a work of remarkable depth and vitality, both elements beautifully brought out by WCM regulars Nurit Pacht (violin), Caroline Stinson (cello) and Tannis Gibson (piano). The thrilling three movement work and their zealous and purposeful performance gripped and electrified. And prepared us for the “Main Event”, what we had been hearing about for two weeks, WCM’s composer-in-residence John Corigliano’s “Mr. Tambourine Man (Seven Poems of Bob Dylan)”. Mr. Corigliano (photo right) chose the Dylan poems and composed new music to fit the words. 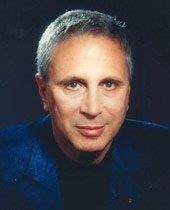 I was not much taken with the words, but what is of utmost importance is that Mr. Corigliano was. Because what came out of his pen, imagination, ear, heart, etc., was one of the most penetratingly profound, audibly fascinating, and emotionally abundant examples of what wonders are inherent in music: what music can say and what music can do. And much of it, with what seemed to my limited knowledge, to be new ways to use melody and harmony – ways I never heard before, I don’t think. And, the deep emotional qualities of Corigliano’s totally hypnotic work were given to us through the highly effective communicative skill of soprano Lindsay Kesselman (photo left) and the artistic skill of Tannis Gibson accompanying. It was a glorious 35 minutes I shall always remember. After the intermission, the program began to lighten up, with Stinson and Gibson performing two earlier works of Faure, “Papillon” – an “almost impossible to play” virtuoso work, going a mile minute (with a lovely melodic middle section), and his famous “Pavane”, in its original duo version, full of Faure’s harmonic and melodic expertise. Kesselman then returned to the stage with accompanist Christopher James Lees (photo right)and they offered up two songs by Schubert and two by Faure. As I listened to these four gorgeous songs in German and French, not knowing exactly what was being said, my thoughts returned to “Mr. Tambourine Man” and I agreed with my previous feelings, that notwithstanding the words, great poetry or mediocre poetry, I am thankful for them as they have inspired composers to create an unlimited amount of musical wonders. 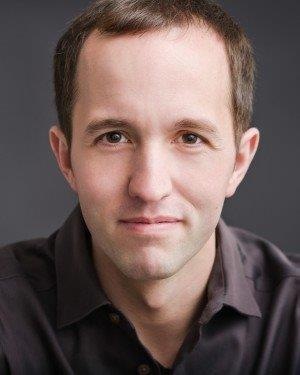 Gibson then returned to the stage with Pacht as the program lightened even more with Debussy’s outstandingly melodic “La plus que lente” and Kreisler’s Paganini/Sarasate-like mile-a-minute – get this – “Le tamborin chinois”, a fitting closing title, giving another nod to WCM’s composer-in-residence, in a way. Kudos to Pacht for her intonation on the runs and arpeggios, et al. That top register is a *&^%# to play.